The Pinoy dish that is most probably next in popularity after adobo, is the sweet-tasting saucy dish asado. Like adobo, this dish is almost always served in every Filipino home you visit and every carinderia you eat from. When you are starting a catering business in the Philippines, you should be able to present a variety of dish to your clients to choose from. These choices should not be without the popular dishes of Filipinos like adobo and asado. You can never go wrong with a properly cooked pork asado. Even kids will enjoy the sweet tang of every bite. You can also add your own variation like potatoes or other ingredients you want to add. 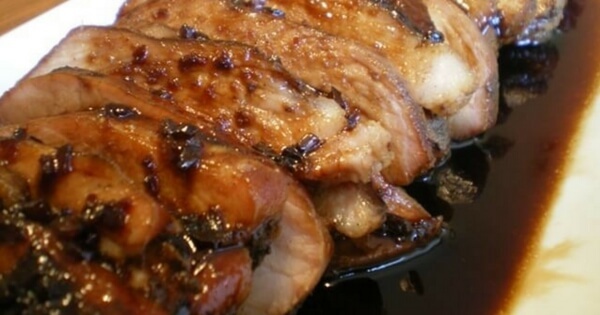 In a bowl, combine the soy sauce, the five-spice powder, garlic, cooking rice wine and the salt. Mix well. Soak the pork and marinate for at least 1 hour. Heat your cooking pot and then put in your marinated pork together with your marinate sauce. Add 1-2 cups of water and let boil. Add brown sugar while stirring to distribute evenly. Let simmer for 30-40 minutes. Make sure you flip the meat every 20 minutes or so it will be tender on the other side too. Turn off heat and remove the pork with a tong. Set the sauce aside. Allow the meat to cool for about 8-10 minutes then slice. Transfer the sliced meat to a serving plate and top with the thick sauce.